Highland Council needs twice as much money as is currently available to bring Inverness’s full-to-bursting schools up to scratch. City officials yesterday unveiled a £100million wish list in a desperate bid to find ways to tackle a “crisis” of overcrowding. But little more than £50million has been allocated to tackle the problem in the current five-year capital spending plan. The funding gap coincides with a record level of capping of pupil numbers in the city and calls for better infrastructure for an ever-growing population. The general consensus of a city committee meeting was that things were at “crisis point” and that an extensive programme of school building or expansion, beyond that already agreed, was essential. 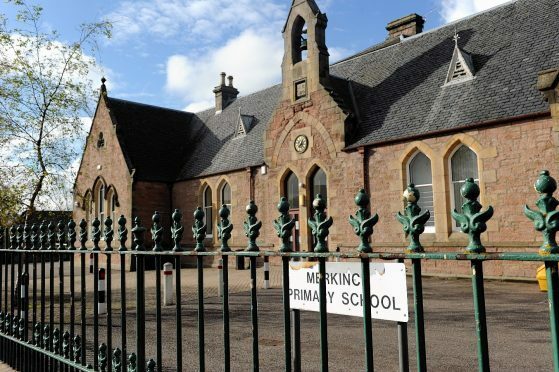 Council projections indicate that a growing population will leave all Inverness schools over-subscribed – each by more than 100% – within a few years. Milton of Leys Primary has proved an indicator, having been over capacity for most of the five-and-a-half years since it was built. The city committee backed a revised priority list and now awaits the approval of the education committee which meets on March 1. A capital programme approved two years ago included a £48million allocation for Inverness schools. The Scottish Government subsequently awarded £2.8million of additional funding for expanding Gaelic medium provision. The sums fall desperately short of the £100million-plus estimate for the council’s latest vision. The wish-list prioritises investment in Merkinch Primary and a Merkinch family centre, new nursery accommodation and extension at Milton of Leys Primary, a new Gaelic school, a bigger Hilton Primary, extra classrooms at Kinmylies and Muirtown primary schools, and a new school at the fledgling Stratton development on the east side of Inverness to ease pressure on the Duncan Forbes and Smithton catchment areas. Pressures on secondary schools are also being assessed separately, with agreement that more classrooms are needed at both Charleston and Culloden academies. Party colleague Ken Gowans, whose Inverness South ward includes Milton of Leys, wants funding designated for a £44million city sports centre immediately switched to schools. He claimed there was “a deafening sound of pennies dropping among councillors,” because city committee colleagues not on the education committee were previously unaware of the scale of the funding problem. “It’s vital it’s recognised by the full council that this is a crisis. They hold the purse strings,” he said. Highland education chairman Drew Millar, a Skye councillor who sat in on yesterday’s Town House debate, said financial decisions for the “£100million-plus” package would lie with the new council, elected in May. He conceded there was no guarantee that all schools on the list would ultimately benefit to the degree suggested. The education committee has previously agreed to an additional support needs annexe and nursery alterations along with additional classrooms for Hilton, Holm, Merkinch and Smithton primaries, in 2017-18. It also agreed a four-year programme to build a new primary to serve Ness Castle and Ness-Side, upgrade Merkinch, Smithton and Kinmylies primaries and add a nursery annexe at Milton of Leys Primary.